Magna ranks No. 3 on Automotive News Europe's list of the top 100 global suppliers. LJUBLJANA, Slovenia -- Car parts supplier Magna International said it will invest elsewhere in Europe if Slovenia does not soon approve the first phase of a planned 1.2 billion euro (C $1.76 billion) vehicle production site. Magna submitted its plan to build a site in Slovenia, which will create around 6,000 jobs, to the government months ago. The first phase comprises building a paint shop that would create 400 jobs. However, it involves the purchase of land in northeast Slovenia, which has not yet been completed. State secretary at the Ministry of Economy Ales Cantarutti said on Thursday that there was a "60-40 per cent chance that we will succeed" in approving the project. "We are working on a Plan B, but I cannot get into details regarding this," Magna spokesman Rej Husetovic said on Friday. "Slovenia is still our No. 1 priority and we hope that we will be able to move forward." He would not comment on local media reports that Magna, which assembles vehicles under contract as well as making parts, is considering Hungary and Croatia as alternative locations if Slovenia fails to grant it planning permission in the near future. The planned new facility will serve the Canadian company's contract vehicle assembly plant in Graz, Austria. Cantarutti said on Thursday that Slovenia plans to wrap up a public debate on the environmental aspect of the Magna investment later this month and the government then hopes to be able to give the green light. 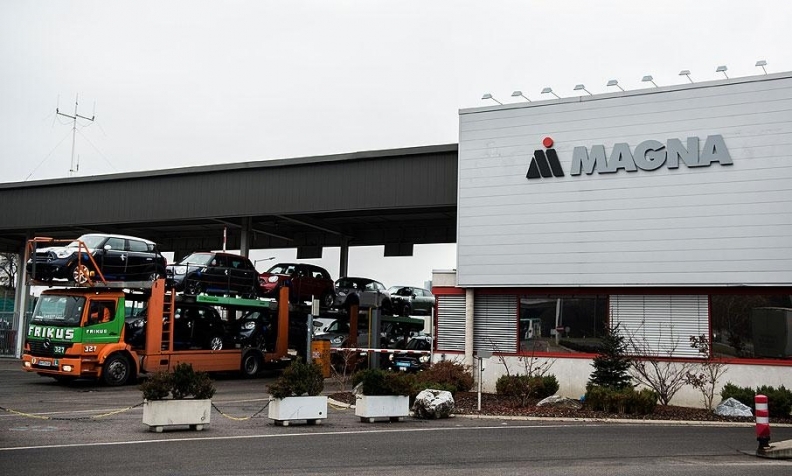 In December, the Slovenian parliament passed a law to speed up the purchase of land where Magna is due to build its plant, and Cantarutti said almost all land purchases have now been agreed and the last one is due to be resolved next week. Magna ranks No. 3 on the Automotive News Europe list of the top 100 global suppliers with worldwide sales to automakers of US $36.4 billion (C $46.8 billion) in 2016. Europe accounted for 34 per cent of that total.